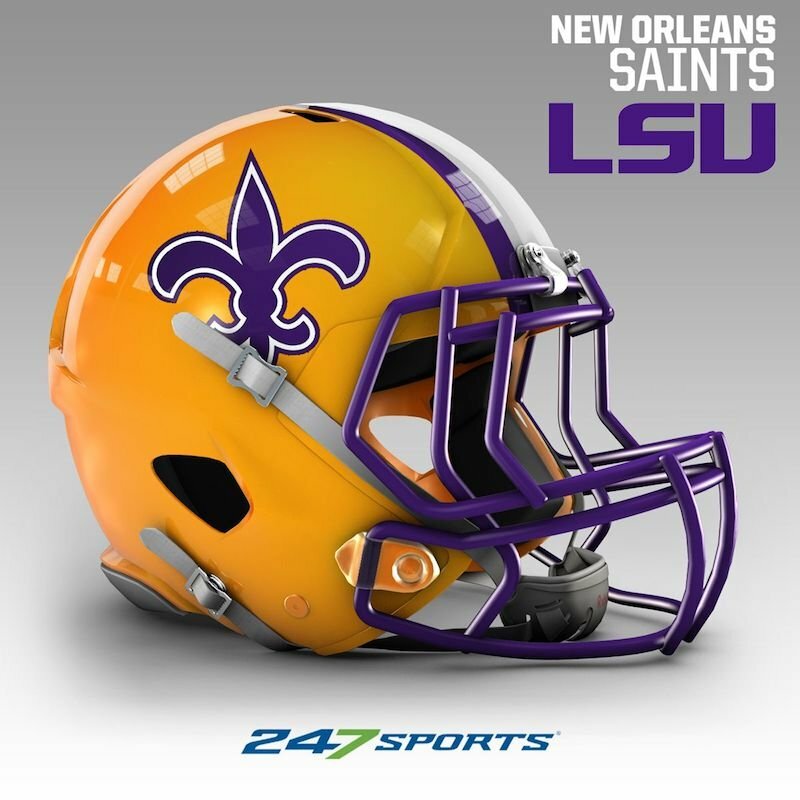 New Orleans Saints – LSU Purple-and-Gold? That’s an abomination. Support Edward Branley (YatPundit) on Patreon! New Orleans Saints – LSU? Nope, nope, nope. That’s just an abomination. An abomination before King Cake Baby Jeebus. 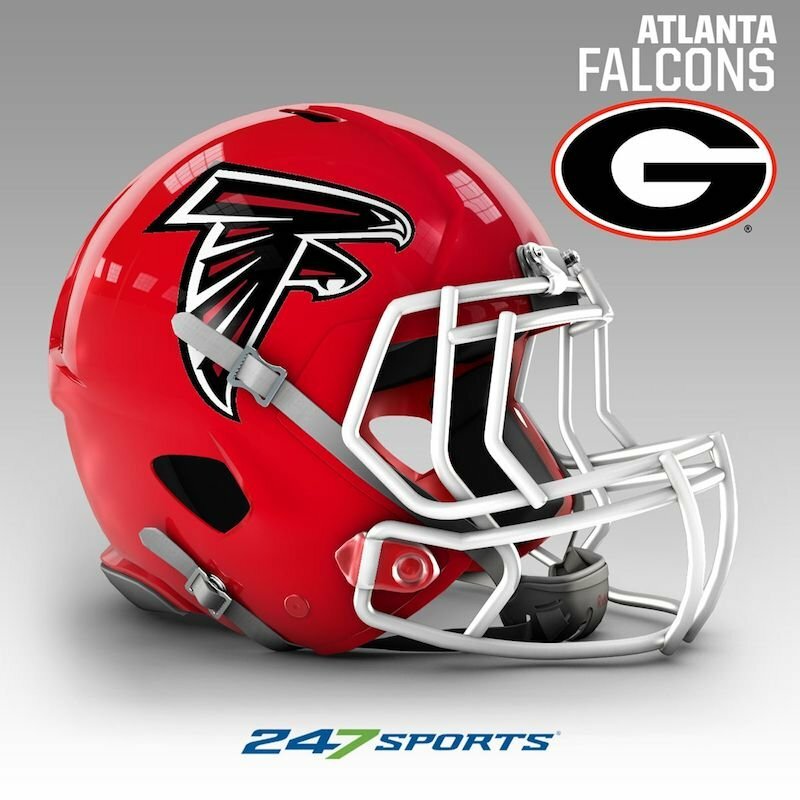 247 Sports did a what-if article on NFL team colors. What if the pro team used the “local” school’s colors? 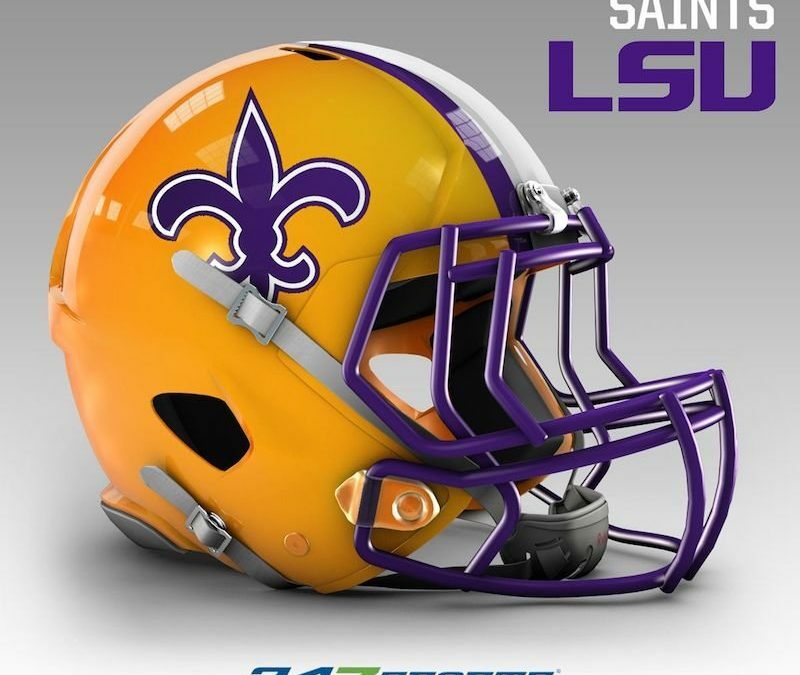 The article paints the Saints helmet in LSU colors. It’s a failure on multiple levels. UT at Austin for Dallas? SMU is IN Dallas. Texas A&M for Houston? What about, you know, the University of Houston? How about Rice? They get Florida totally wrong. Tampa – Florida makes more sense. Jacksonville should pick up the school in the panhandle, Florida State. Georgia Tech matches better with Atlanta than the hours-away University of Georgia. GaTech is ACC, not SEC, sure, but they’re in Midtown Atlanta. Los Angeles Chargers matching up with UCLA, Los Angeles Rams pairing up with USC, those make sense. Indiana with the Colts keeps Notre Dame out of the article. I’m good with that. Double fail. Wrong school, and the Falcons are always a fail. LSU and the Saints, simply wrong. It’s lazy. While LSU is closer to New Orleans than Georgia is to Atlanta, still, no. Yes, the two schools chosen are bigger football schools. They’re not the right matches, though. Tulane and Georgia Tech both were originally in the SEC. While Tulane’s program dropped significantly, they’re still New Orleans. They played in Tulane Stadium, then the Superdome, now in their new stadium. Georgia Tech plays at Bobby Dodd Field, on their campus. The writer looked for the big names, not the geographic fits. I concede that my University of New Orleans Privateers don’t have NCAA football, but Tulane does. The writer totally phoned this in. The tells are the Florida teams. The others indicate the writer either didn’t know or didn’t care about teams situated in the NFL cities. Fail. And an abomination!